Saltrock clothing now has 30% off. T-shirts, Rash Vests and Hoodies to keep you warm through the imminent gota fria! Limited stock. 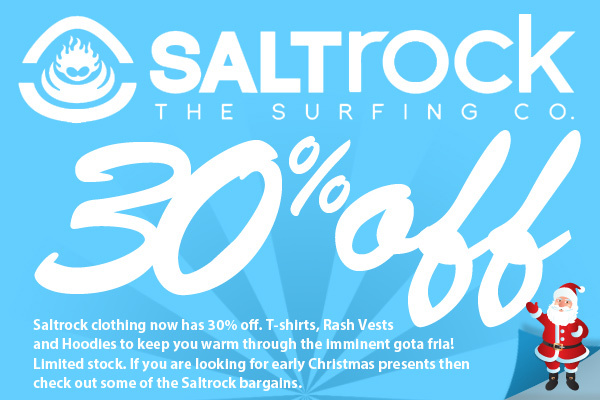 If you are looking for early Christmas presents then check out some of the Saltrock bargains.